How are we answering God’s brief to us? In advertising we often talk about how easy or hard the client’s brief is. The word ‘generic’ often comes up. Something that one brand has that a thousand other brands have but they still want to sell it. Once the grumbling is out-of-the-way we get on and do what we’re employed to do and that is be creative in positioning something that’s generic in an interesting way. 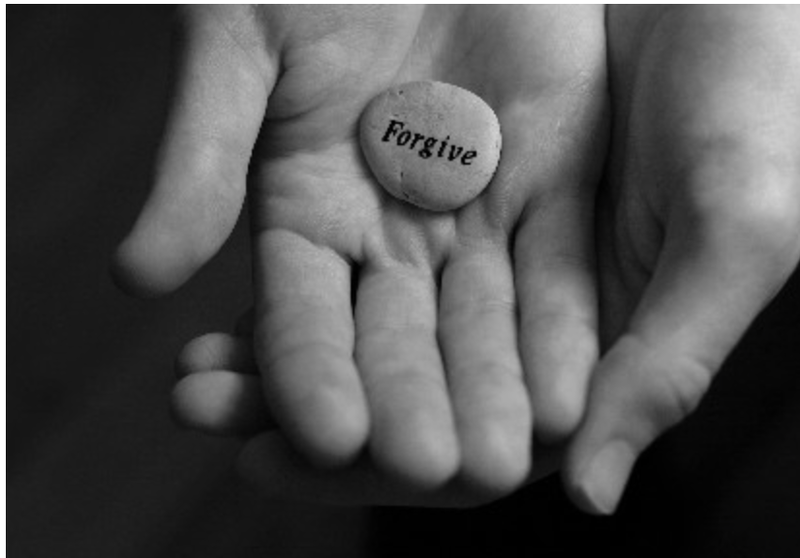 Try writing ‘forgive’ on a stone and carry it with you in your pocket. The above scripture sounds like an easy brief, but is it? How can I love a person who purposely made me look bad at work (At least that’s what I thought). How can I not be jealous of someone who beat me to the promotion or simply did a better job than me? There are answers though out The Bible. One example is Romans 8:28 – ‘And we know that God causes everything to work together for the good of those who love God, and are called according to His purpose for them’. I love those two words ‘We know’. I know because I believe and have faith. So, it’s pointless me saying “It’s not fair that I didn’t get that promotion or job”. I can imagine God shaking his head and thinking “He just doesn’t get it.” And of course I don’t always understand and I know I will forever go through life not fulling understanding why certain things work for and against me but I believe that when it’s ‘for’ it’s because God wants it that way and when it’s ‘against’ God knows it’s not going to be good for me and it’s simply not part of His plan as disappointing as it maybe sometimes. And the times when I’ve ignored Him and tried to do things my way or gone ‘off brief’ it’s become a huge mess. But that’s for another time! Heavenly Father, Living life according to your law is a tough brief and we’re thankful that you forgive us when we answer it wrongly. Teach us not to invent our own answers that satisfy our own selfish needs but we pray we’ll turn to the knowledge of your word in scripture instead – Amen! This entry was posted in Forgiveness, Humbleness, love, Patience by CommutewithChrist. Bookmark the permalink.